With a prestigious address overlooking the bay, this high-quality business center offers a range of excellent office spaces. The distinctive architecture combines characterful warehouse with modern materials. A host of local amenities are close-by. State of the art design building designed as a full-service co-working providing a professional environment. Perfect location for networking, and many other professionals. This location at on 30th Street was once a bank in a 2-story brick and concrete building located in the heart of this bustling neighborhood. This contemporary and technologically innovative business center is spread over six floors of a Sixth Ave. building, ideally situated at the heart of San Diego’s bustling Financial District. Tenants have a choice of state-of-the-art co-working or private suites while perks include a rooftop deck, company logo display and a fully-stocked kitchen with espresso bar and local beer on tap to name just a few. With offices ranging from one to 280 workstations across six floors this San Diego center certainly offers the space for your business to grow. Enjoy your morning coffee on the large private patio in the heart of downtown. The locality offers a significantly extensive range of fantastic infrastructure and local transport links, with a multitude of frequent and convenient services in operation throughout the area via road and rail networks. This high grade building in the business district of downtown San Diego and easy access to the 405 freeway. This facility comes with high spec office suites, easy parking and building access, and conference facilities. 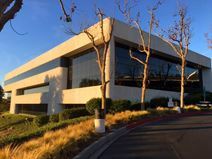 Office space to let in the Mission Valley area close to the major 405 freeway. This centre serves an excellent business location and offers high spec furnishings throughout the exterior and interior of the building with use of conference rooms, and security. Service space at the Golden Triangle offers nearby freeway access. Also convenient to dining and shopping with the use of high spec technology and telephony with easy and at all times available building access all support by great onsite staff. Located in elite Del Mar in the Torrey Reserve development and close to the 5 and 56 Freeways, this modern business centre offering fantastic views and great facilities. This includes 24/7 access, administrative and high speed internet facilities, and friendly reception services. The Virtual Office Programs, starting at $99/Month, provide all the benefits of a physical office at a fraction of the cost. This centre offers use of conference rooms or private office usage for rental by the day or by the hour. Situated in one of the most sought-after locations in San Diego County, this center is situated on the second floor of this 11-story LEED certified building. Available are 13 turn-key offices, four conference rooms, workstations and a professional business support team. Specializing in offering client’s the highest quality of virtual services. Whether you need a part time office, conference rooms for your meetings or full time reception and communication services, this centre offers you all these services a la carte and at a fraction of the cost of full time services. The cutting edge computer telephone integration allows the center to connect you seamlessly to your clients, prospects or vendors no matter where you are. In addition, they can customize the services to include customer intake forms, appointment scheduling, taking orders and so much more. This exquisitely furnished and exceptionally well equipped corporate installation is a commercially significant and locally renowned landmark office establishment. Within walking distance of the center are various bars, cafes and restaurants, including Regents Pizzeria, Starbucks and Nozomi La Jolla. Banking facilities and parking lots are also in the vicinity, as well as hotels such as the San Diego Marriott La Jolla. These tastefully decorated offices come with receptionist facilities and other services. This includes work environments to suit your business needs; all set in a conveniently accessible and friendly location. This center is situated within one of two glass-fronted twin towers in Mission Valley. There are a variety of local amenities including restaurants, luxurious hotels and retailers while the San Diego Trolley light rail system is close by. The regional transport links present in the locality are also fantastic and provide all occupying tenants and visitors to the site with a range of options to access the area's wider districts. Situated in the well-connected Kearny Mesa area of San Diego, this business park provides a peaceful environment with an elegant design and a host of amenities. Great deal now available at this business centre close to all amenities and the I-5, and I-805. This centre offer great views and the use of high speed internet, great parking, and friendly staff. These offices are furnished to a high standard. 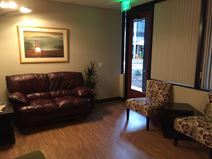 This centre is conveniently situated in great surroundings and close to the I-5. Specials include the use of all administrative facilities, tea-point, state of the art technology and network access, a friendly management team, and 24 hour admission all at great rates. Located a short distance from Del Mar, this centre offers conference facilities, including videoconferencing and support staff. This centre is located at the Highlands Plaza. Lots of hotels and small shops nearby. Nestled within San Diegos renowned Del Mar Highlands area, this charming business center is easily accessible by road and has a wide range of lifestyle amenities at its disposal. When opened this business center will form part of an award-winning waterfront campus from a Point Loma landmark. With easy access to downtown San Diego and major cafes, retailers and restaurants within walking distance this is an ideal location. 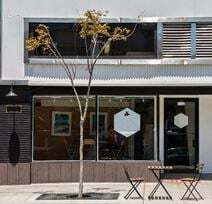 Located in the La Jolla Village Plaza, this beautifully designed centre offers a range of services including high furnishings, technology for videoconferencing. This centre is in the where the Golden Triangle plaza. With four large windowed areas and an exclusively secured and sound-proofed range of office suites varying from 115 to 203 sq. ft. in Sorrento Valley, this corporate business installation is one of the prime locations in town and one of the most accessible venues for commercial operations and business opportunities within the general vicinity of the city. The Class A building has a beautiful entrances and a charming courtyard and benefits from excellent local transport connections. Just 30 minutes from the airport and San Diegos CBD, this stunning glass-fronted building is an area full of biotechnology and telecoms companies as well as a number of hotels, restaurants and retailers. 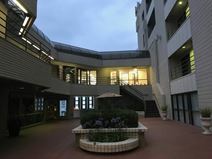 The center is located on the first floor and includes covered on-site parking. This center is located in downtown San Diego, with amazing ocean views from this Class A building. This is a low rise property offering covered parking, just moments from a range of shops and transport options The regional transportation services present in the area are also excellent and provide an extensive selection of convenient and frequent travel options for commuters and tenants across the road and rail networks of the area. This centre located less than 15 min to downtown district, is close to all shopping facilities and comes with great packages. This centre is offering conference facilities, 24 hour access, technology facilities, easy parking all at great rates and close to all major freeways. This is a dynamic and thriving business district, home to a range of industries. This office center provides a highly visible and impressive venue for your business, in clear sight of the quarter-of-a-million cars that pass by every day. The property is situated in San Diego and is within close proximity of shops, restaurants, bars, and cafes. The office benefits from an abundance of natural light, fantastic views of the city, car parking. This Cowork space is located near numerous locally owned businesses, including restaurants, cafes, bars, clubs, and trendy thrift-stores. Hillcrest is known for its "tolerance and acceptance", and always upbeat. At This space Cowork Hillcrest we have everything necessary to support our coworkers in being productive, including amenities such as ergonomic chairs, stand up desks, conference and podcast rooms, easy street parking, 24/7 access, soundproof phone booths and event spaces, as well as an overall calm, relaxed atmosphere. This premium coworking community in Downtown San Diego is just minutes from Little Italy and offers modern office space with floor-to-ceiling windows. Just minutes from the Santa Fe Trolley Station and 10 minutes from the airport. This centre close to the highway and within easy driving to downtown San Diego is offering modern offices in this high grade business centre. Includes easy parking and conference facilities. This centre located close the I-5 Freeway offering high speed internet and conference facilities with fantastic views over the city. This is close to the Seaport Village. Covered parking offered. Airport shuttle service available.